It was one of those places I had been meaning to visit for a long time, but I had just never gotten around to it. 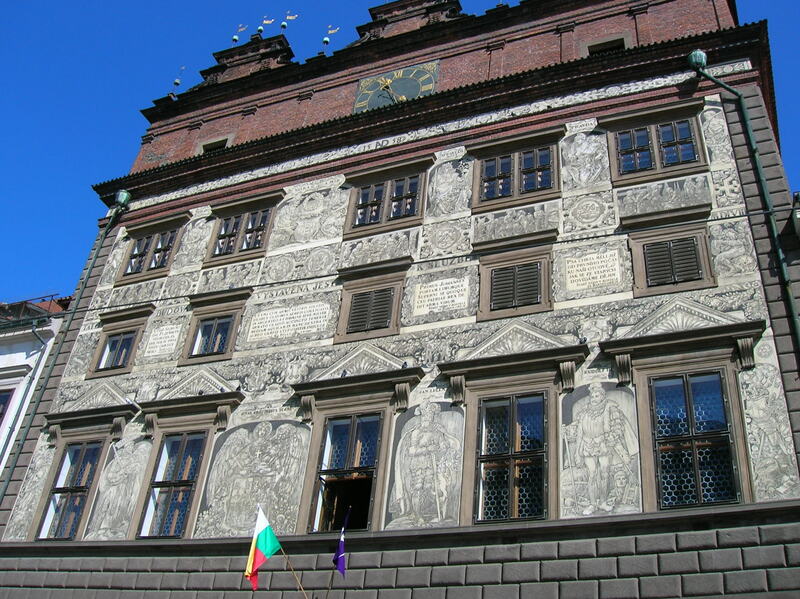 Tomorrow. . .this week. . .next week. . .I would always stay home and write instead of visiting the Lobkowicz Palace. Friends and family raved about the museum. 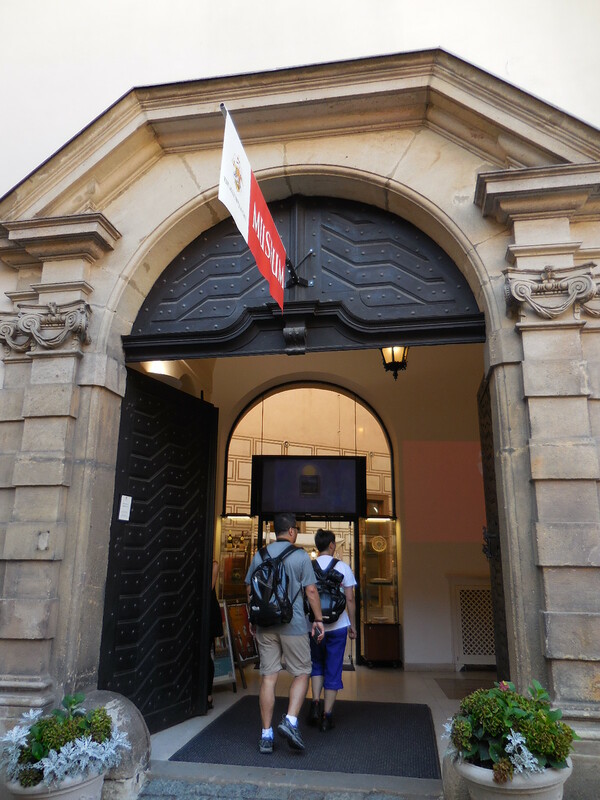 In August of 2015, I finally went to check out the Lobkowicz Museum, which opened in 2007. The beginning of the audio guide tour had me hooked. 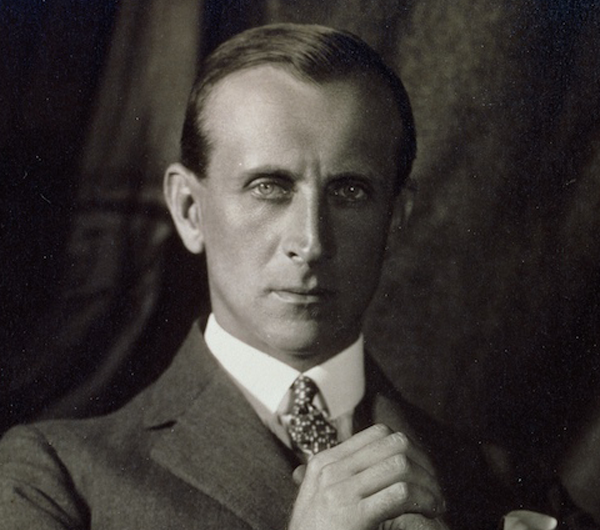 William Lobkowicz, the current owner of the palace, did most of the narrating. His grandfather Max was married to a British citizen, Gillian. When World War I started, Max had been a very affluent man. During World War II he served as ambassador of the Czech government in exile in London. He was fervently against the Nazis and was an avid supporter of the democratic First Republic of Czechoslovakia. The Nazis disliked Max not only for his anti-Nazi activities but also because he had a British wife. After the Communists took control of the country in 1948, Max found himself trapped in Czechoslovakia. His wife sent him a letter from London, telling him she was gravely ill. She wasn’t, but the ploy worked. The Communists gave Max two days to visit her. With only his coat and the clothes he was wearing, Max fled from his homeland to join his wife in London. He left behind 13 castles. William’s father had been 10 years old at the time and had been sent to live in the USA. What a story! It sounded like something out of a spy novel or film! It must have been so difficult to leave so much property and so many possessions behind. Thirteen castles! It must have been heartwrenching. Then I found myself in a large room full of family portraits, starting with those of nobility from the house of Pernštejn. The portraits were not merely faces staring at me. Each portrait told a story about an individual thanks to the information on the audio guide. The people came alive as I listened to intriguing facts about their lives. 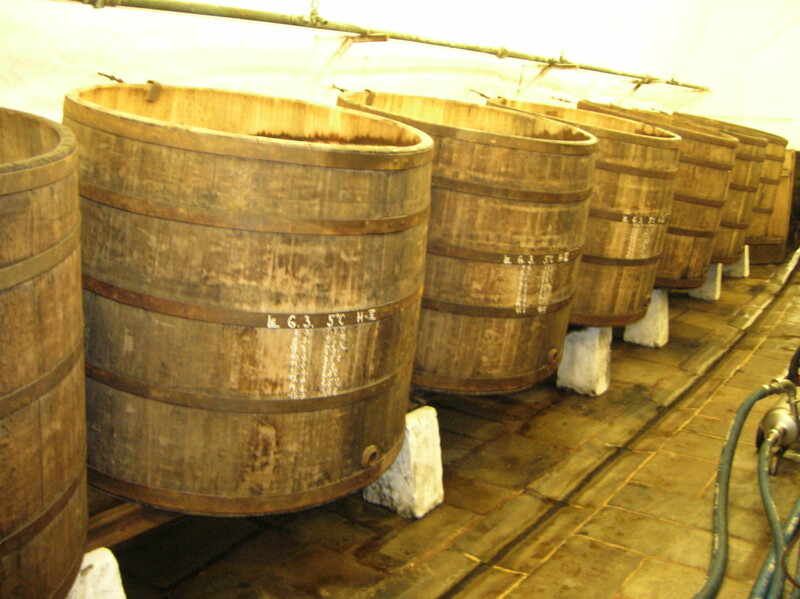 When I was looking at the Pernštejns, I fondly recalled my visits to Pernštejn Castle in Moravia. It was one of my all-time favorites. I wonder if that had been one of the 13 castles grandfather Max left behind. 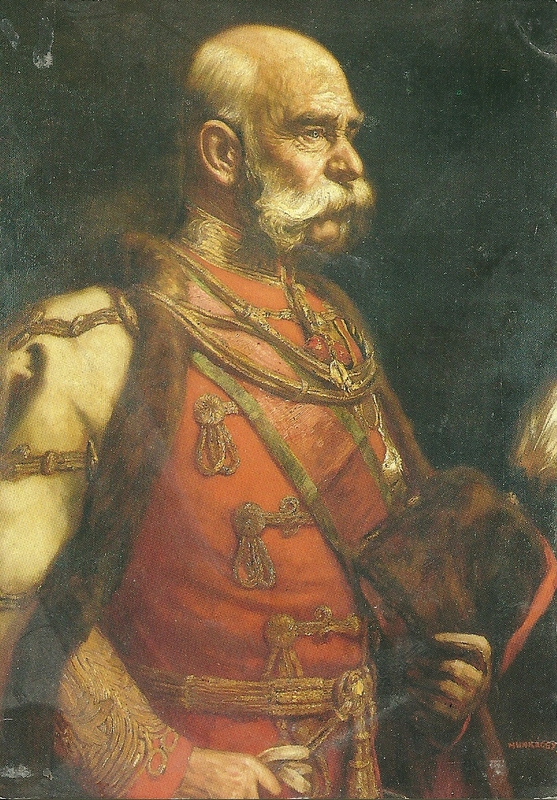 Vratislav Pernštejn, born in 1530, held the distinction of being the first Czech to receive the Order of the Golden Fleece, achieving this feat at the tender age of 25. 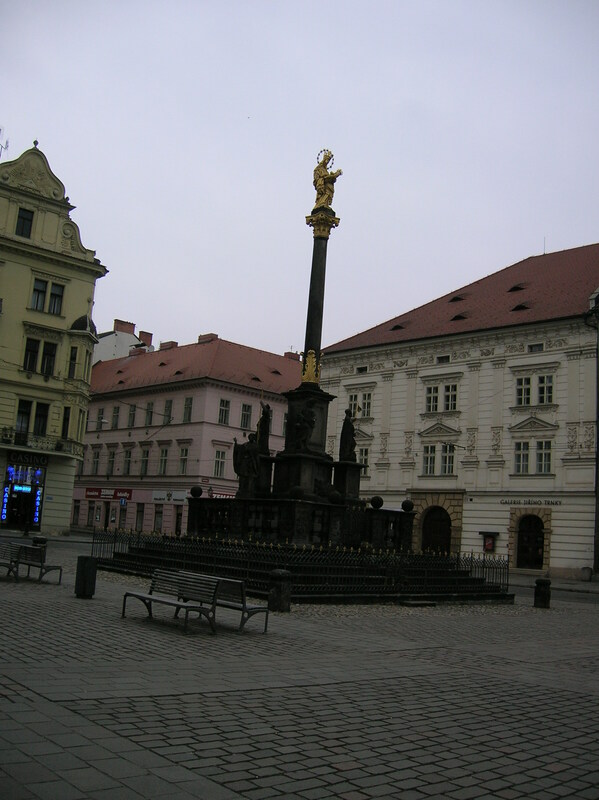 Later, many more Lobkowiczs would be honored with the award. The Lobkowicz clan was related to King Philip II of Spain, whose tenure on the throne lasted 40 years. His territories even included Central America, the Caribbean and parts of what is today the USA. At one time he was even the King of England. Nicknamed “Philip the Prudent,” he was the son of Holy Roman Emperor Charles V and Infanta Isabella of Portugal. The Philippine Islands were named after him. He founded the first trans-Pacific trade route between America and Asia. He also made sure the Ottomans would no longer be a formidable enemy of his lands. He also helped his empire get back on its feet in times of financial crises. I wished I could trace my family tree back so many centuries. I knew that I was of Slovak heritage on one side of the family, had a grandmother of Czech ancestry and a grandfather of Scottish origin, but I did not know any details. 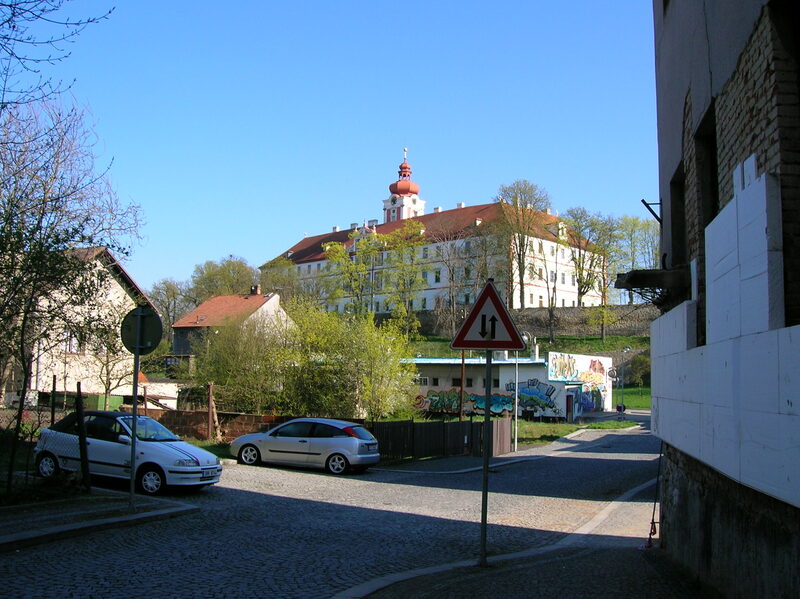 My ancestors from Moravia were named Mareš, a common Czech surname. My grandmother’s maiden name had been Šimánek, also a common name. 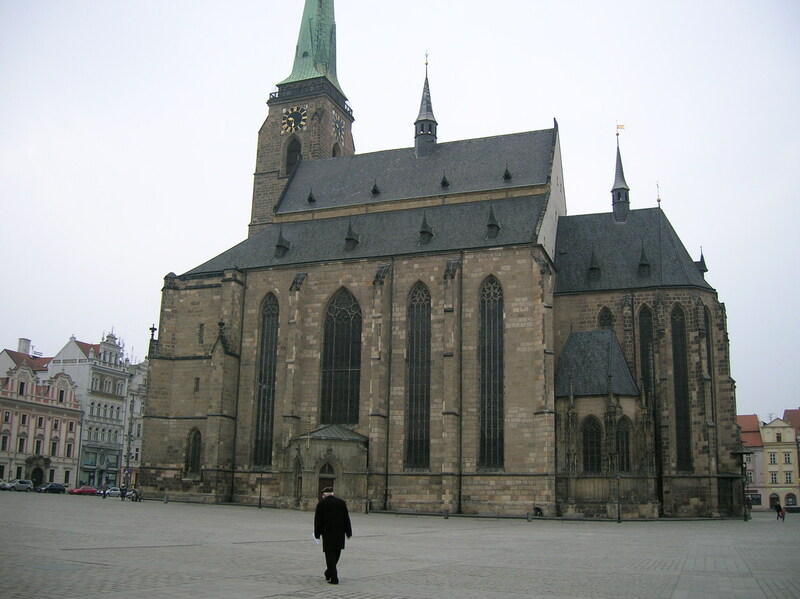 I think my decision to move to Prague had something to do with filling up a vast emptiness about my family’s past, wondering who my ancestors were and what they were like. 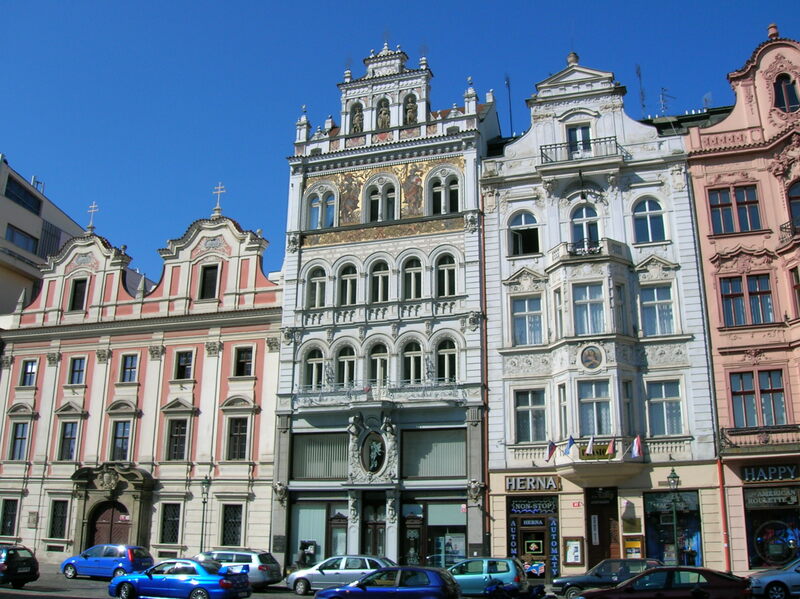 In Prague I felt in touch with a past I had never known, and that was one of the reasons Prague felt like home. I was reminded of a Diego Velázquez exhibition I had seen in Vienna about a year ago when I gazed at the portrait of Infanta Margarita, then a four-year old member of the Spanish royal family. I recognized her from Velázquez’s masterpiece, Las Meninas. While Margarita was immortalized in portraiture, she did not enjoy a long life. She died during childbirth when she was only 22 years old. I found the Lobkowicz’s involvement in the Defenestration of Prague fascinating. One painting showed the historical event, when Protestant nobles revolted against the Catholics and threw two Catholic ministers and a secretary out a window. This event triggered the Thirty Years’ War. Luckily, the three fell onto a pile of dung and did not die. 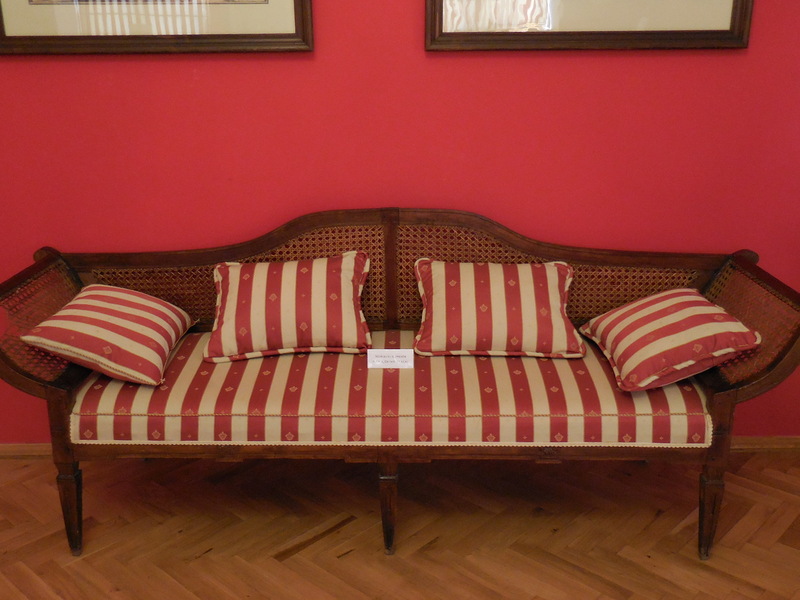 Two of them took refuge in Lobkowicz Palace. 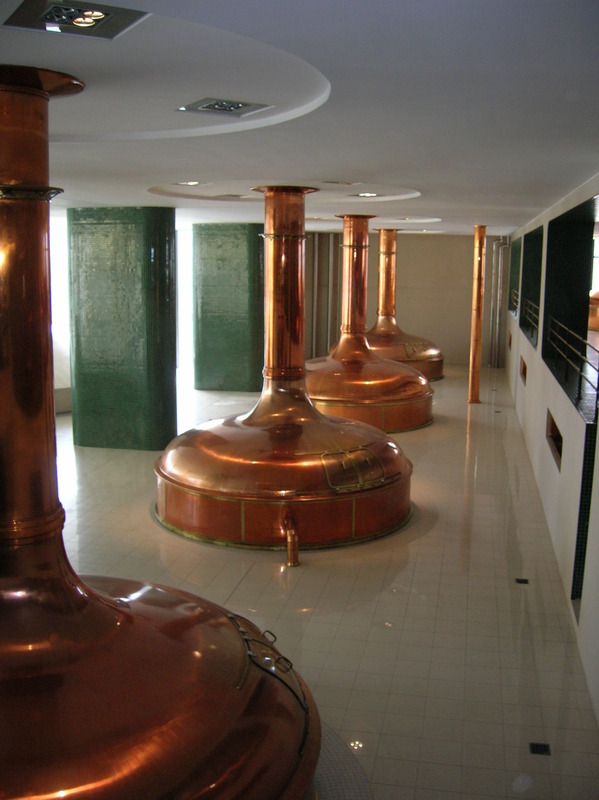 According to legend, Polyxana Lobkowicz hid them under her skirts. In the next room I was surrounded by fine porcelain. I saw majolica service from Lombardy picturing a calming landscape of coastal scenes with mountains. 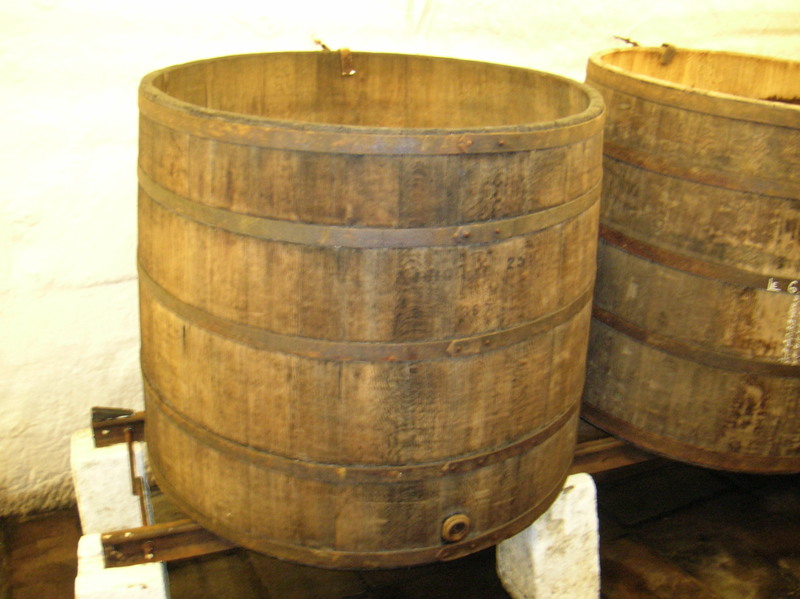 It dated back to the 17th century and was made in Italy. 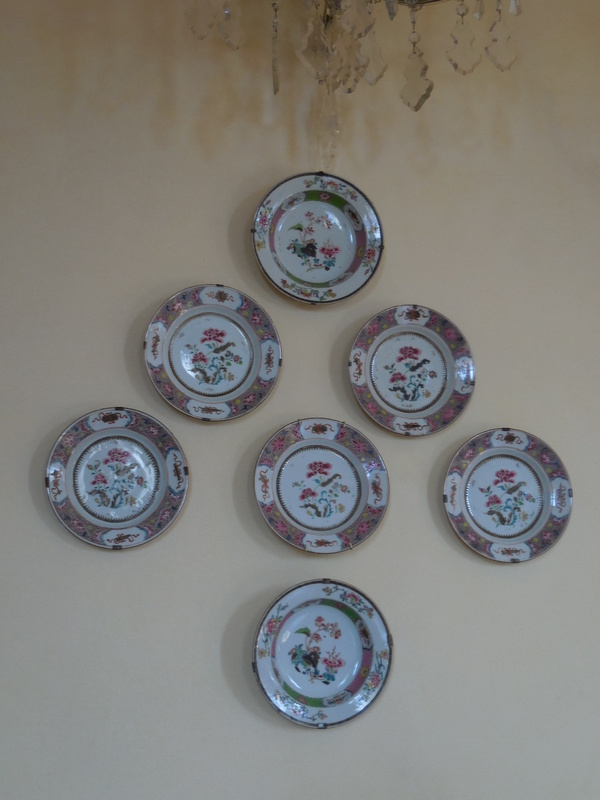 I was also enamored by service from Delft, dating back to the late 17th century. I had always been fond of porcelain made in Delft. The painting in the next room captivated me. Lucas Cranach the Elder had rendered Mary and the Christ child in a painting hailing from 1520. Saint Catherine and Saint Barbara also made appearances. 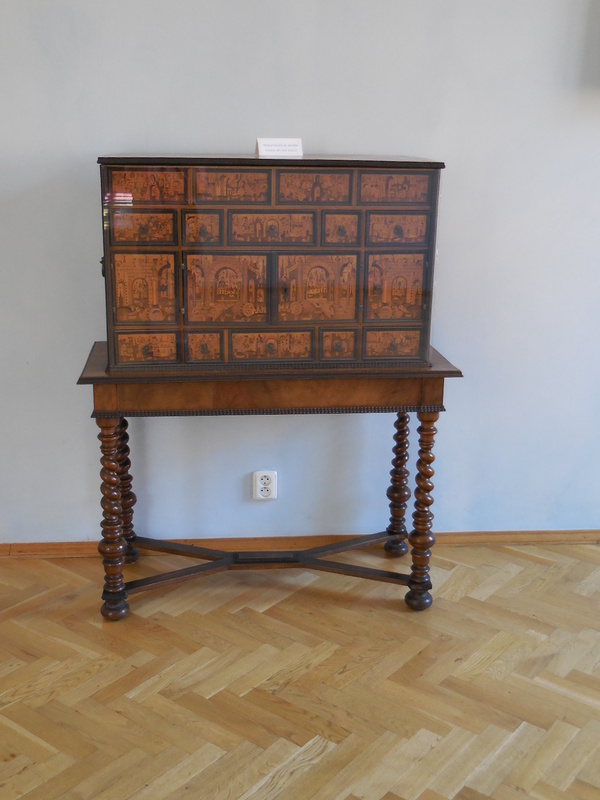 I found out that Ferdinand Lobkowicz had been an avid art collector. In a separate space stood a processional reliquary cross, Romanesque in style. Hailing from north Germany in the beginning of the 12th century, it was made of gilded copper and adorned with 30 crystal cabochons. I couldn’t believe I was looking at something that ancient and in such good condition. Whenever I saw Romanesque churches, for instance, I could not believe I was standing in a structure built so many centuries ago. 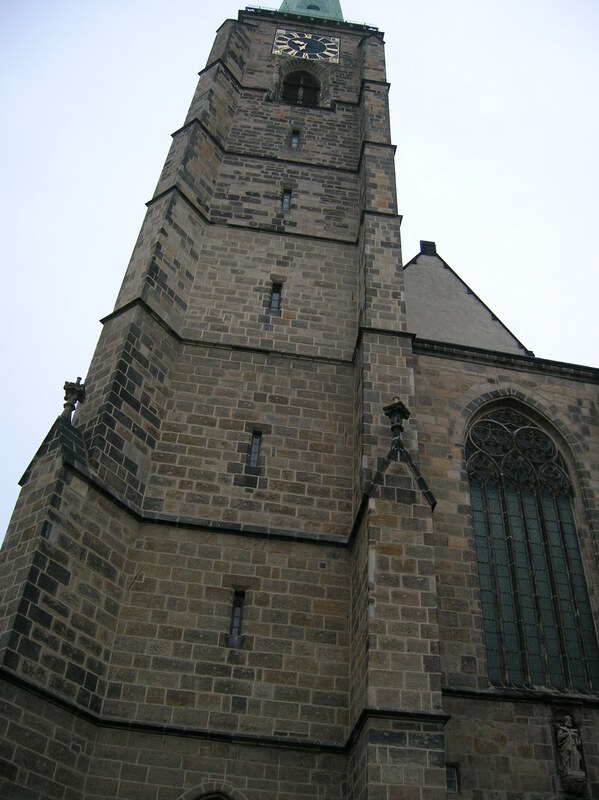 I briefly thought back to the Romanesque church with the fascinating façade in Regensburg. Then I entered a room filled with weapons and knights’ armor. While I was impressed that the Lobkowiczs possessed such a superb armory, weapons were certainly not my cup of tea. I moved on and soon found myself surrounded by musical instruments, especially violins. I love classical music, and the room calmed me while the armory had made me anxious. I stared for some minutes at the original score of Part III of the Messiah by Handel as arranged by Mozart. I also saw original scores by Beethoven and Mozart, two of my favorites. The first printed edition, dating from 1800, of the score for the oratorio of The Creation by Haydn also caught my attention. My mind wandered back to those classical music classes at Smith College, where I first became enamored with the above-mentioned composers and many more. An entire new world had opened up for me. I also spent some time gazing at the violins and clarinets, wishing I could play an instrument. I had taken beginners’ piano lessons in college for a year, but that was it. In college I always dreamed of being able to play an instrument well enough to major in music. But it had been just a dream. I wasn’t talented enough, and I had concentrated on my writing. Soon I set my eyes on one of my all-time favorite paintings by my favorite artist, Pieter Bruegel the Elder. It was his rendition of Haymaking, one of only six panels representing the 12 months of the year. Each panel represented two months. Haymaking depicted June and July. I remembered gaping at the Bruegel collection in Vienna’s Kunsthistoriches Museum, where I had admired The Gloomy Day (Early Spring), The Return of the Herd (Autumn) and the Hunters in the Snow (Winter.) 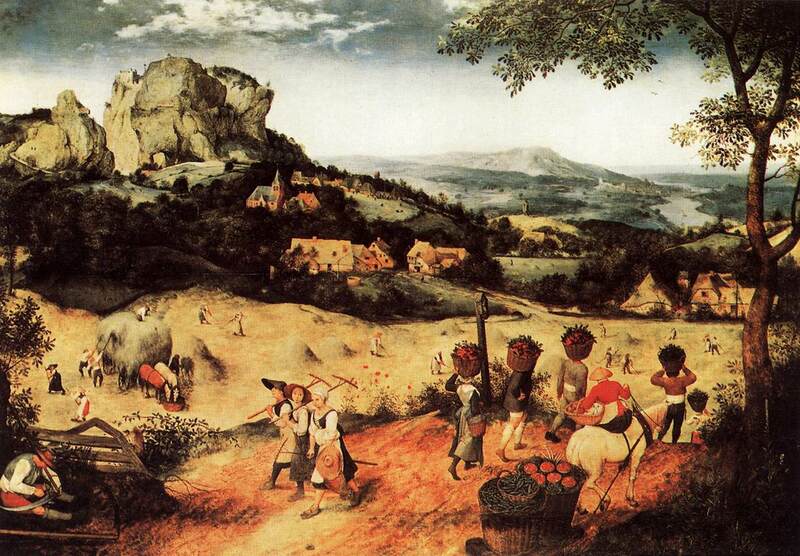 Bruegel’s paintings of the seasons had played a significant role in Western art. It was the first time that landscape was the main subject of the painting. Before, landscape had been utilized as a backdrop for religious figures. I admired how nature played a role in the lives of the people depicted in the paintings. 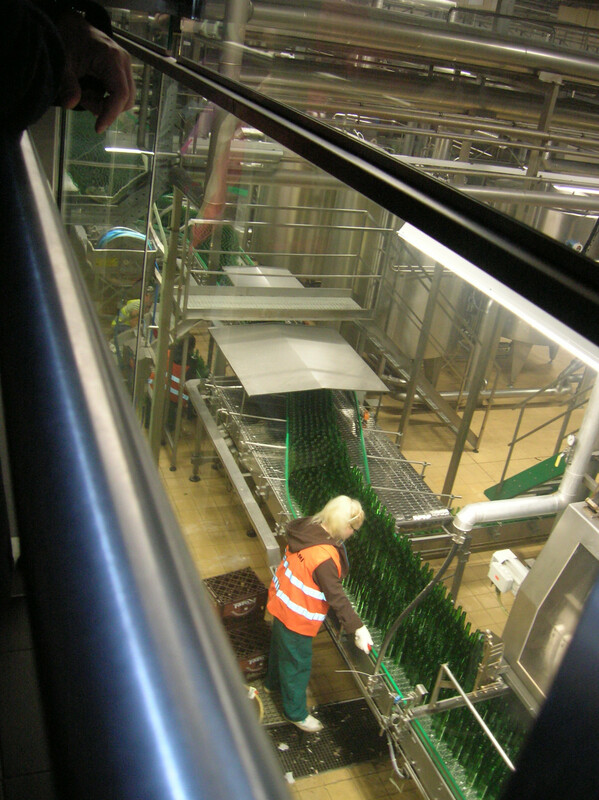 Their daily activities were dictated by the seasons. I loved the way Bruegel depicted the common man in everyday activities and put so many details in his paintings. The landscape was stunning and idyllic, too. The Croll Room was breathtaking. Carl Robert Croll had painted over 50 works for Ferdinand Joseph Lobkowicz during six years in the 1840s. 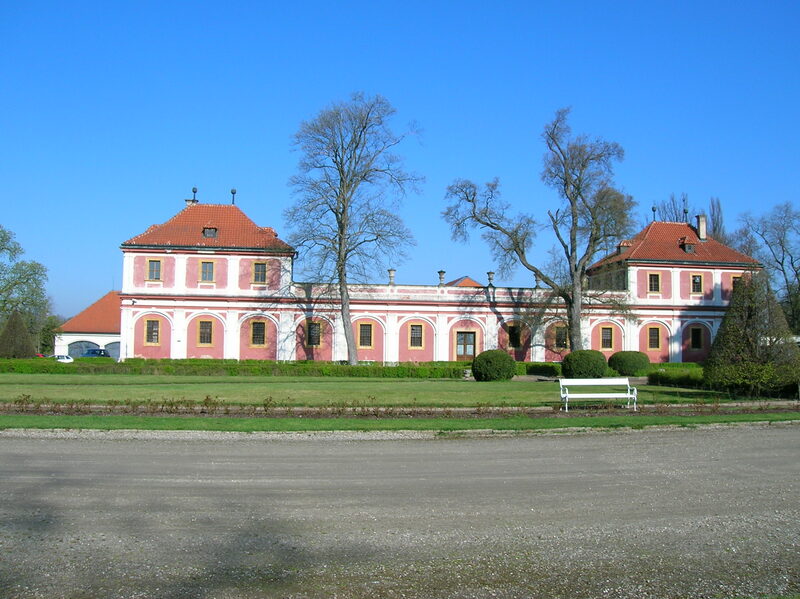 I recognized Jezeří Castle, which the Lobkowiczs sold to the Czech state in 1996. 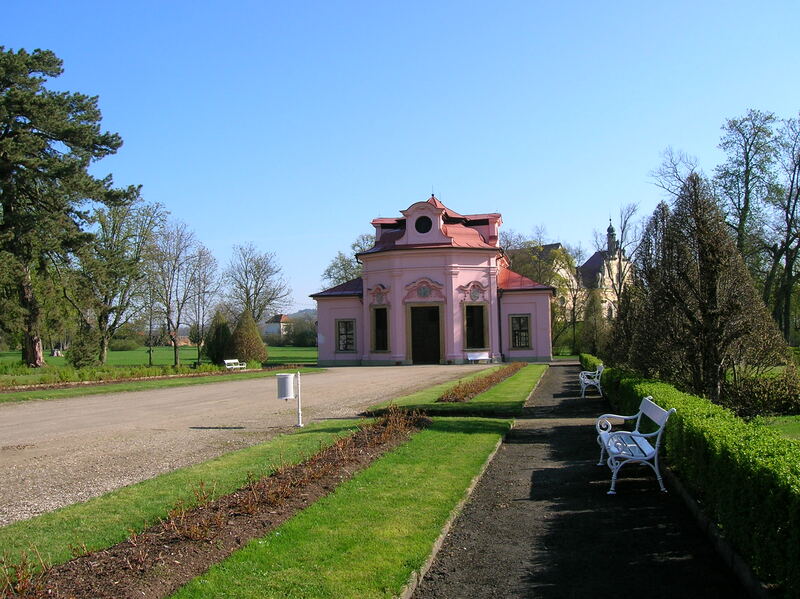 I had visited Jezeří some years ago, but the chateau was in need of major reconstruction. Its location on a cliff was romantic, but restoring the interiors was going to take a lot of time. I wondered how far the restoration work had come during the past years. 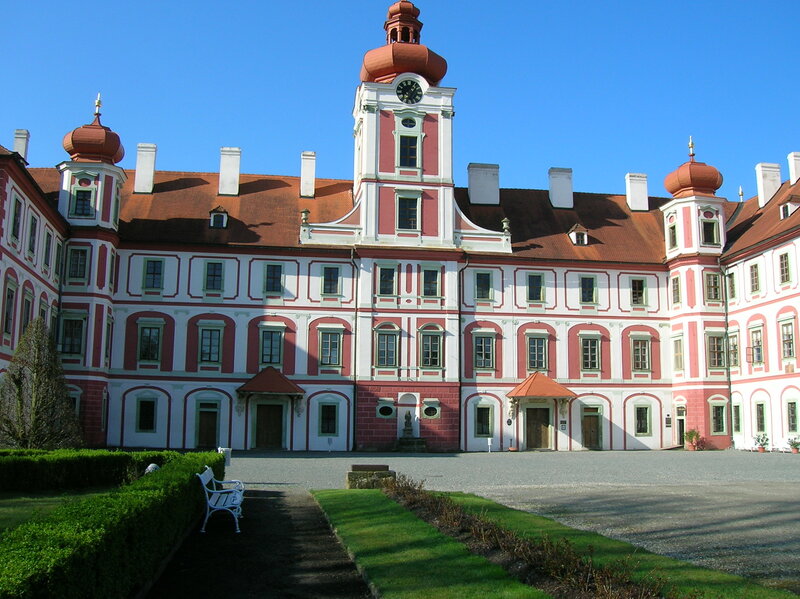 I also recognized Roudnice Chateau, shown Italian Baroque style from reconstruction that took place from 1653 to 1677. 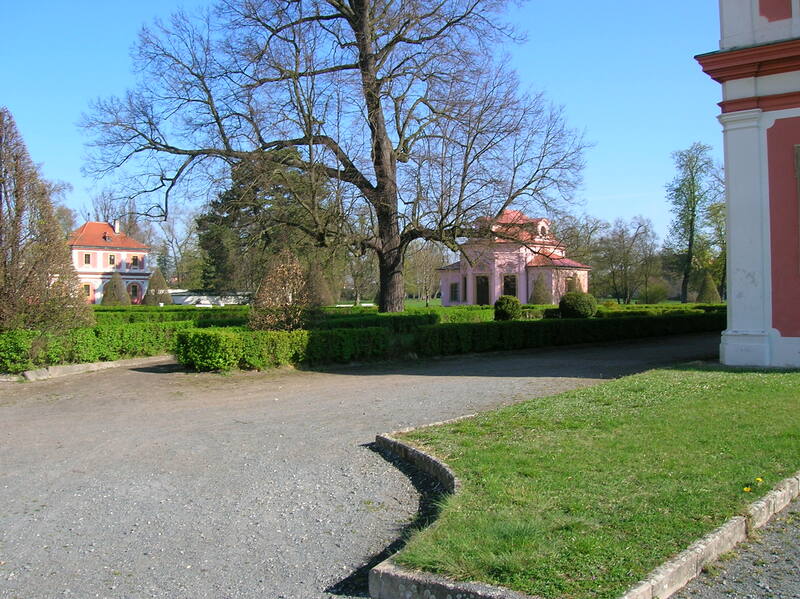 I had been to the art gallery at Roudnice Chateau some years ago, but most of the chateau was under reconstruction. 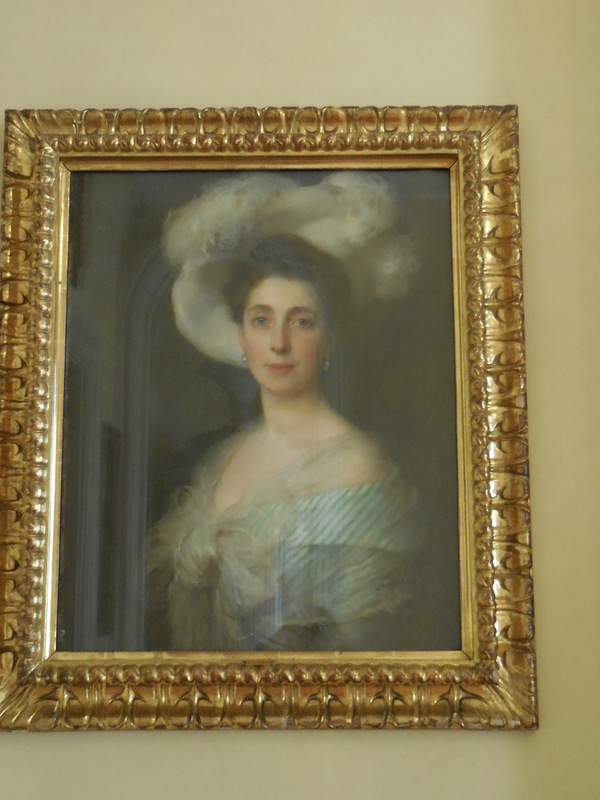 Nelahozeves, also seen here, was one of my favorite chateaus due to its impressive art collection. 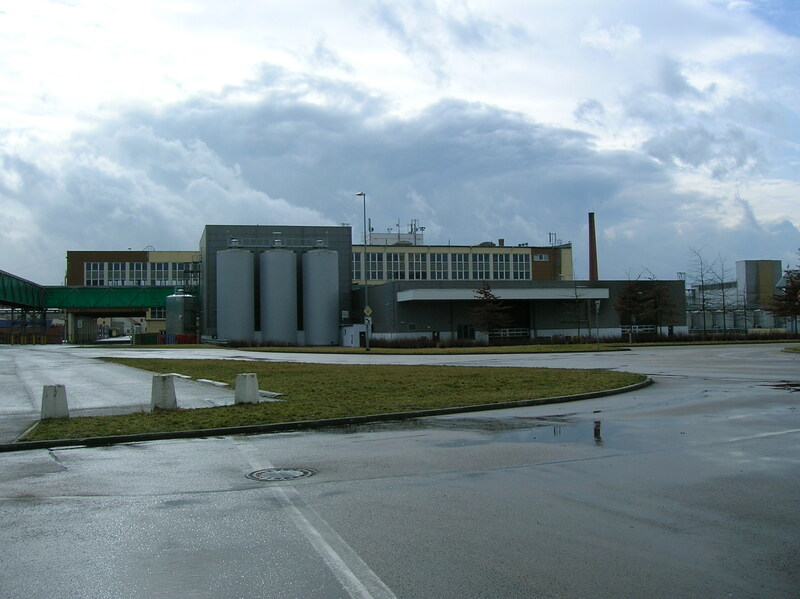 Not far from Prague, I always recommended that visitors take a day trip there. I had even written a post about it for my blog. 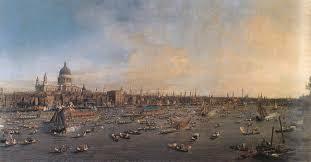 Then I saw what have to be two of the most beautiful paintings in the world – two views of London by Antonio Canaletto. I loved Canaletto’s work because he brought out the atmosphere of the place he was painting. I could really feel as if I were looking at London and the Thames in his City of London from River Thames with St. Paul’s Cathedral on Lord Mayor’s Day from 1748 and in The River Thames Looking Toward Westminster from Lambeth from 1746-47. I recalled the extensive Canaletto exhibition I had seen in Aix-en-Provence during June. I loved the details of the boats and sails. On the first floor I saw a portrait of Princess Ernestine Lobkowicz clad in brilliant red and portraits painted by the princess in the 17th century. I wondered how many female portrait painters there had been in the 17th century. 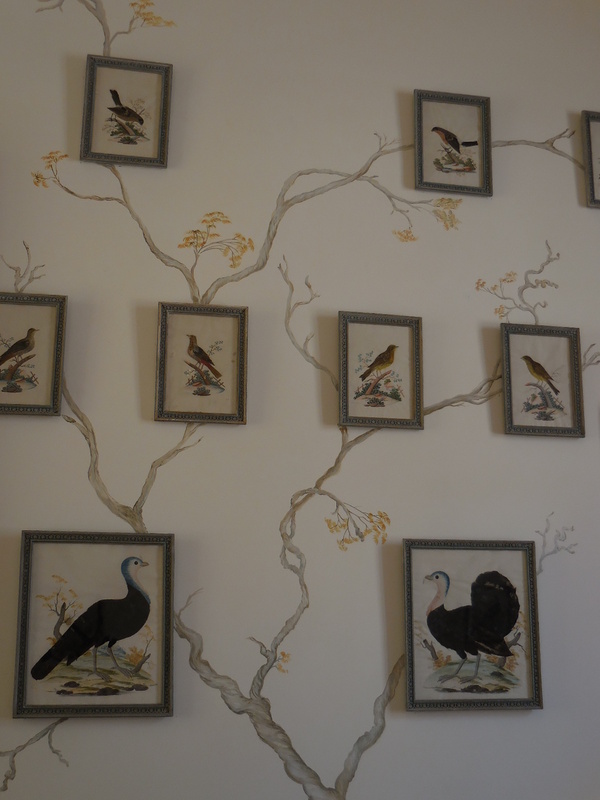 The Bird Room featured pictures of birds made with real feathers. On the audio guide William’s wife, Alexandra Lobkowicz, mentioned that she had found the pictures infested with insects and that they took almost a year to conserve. 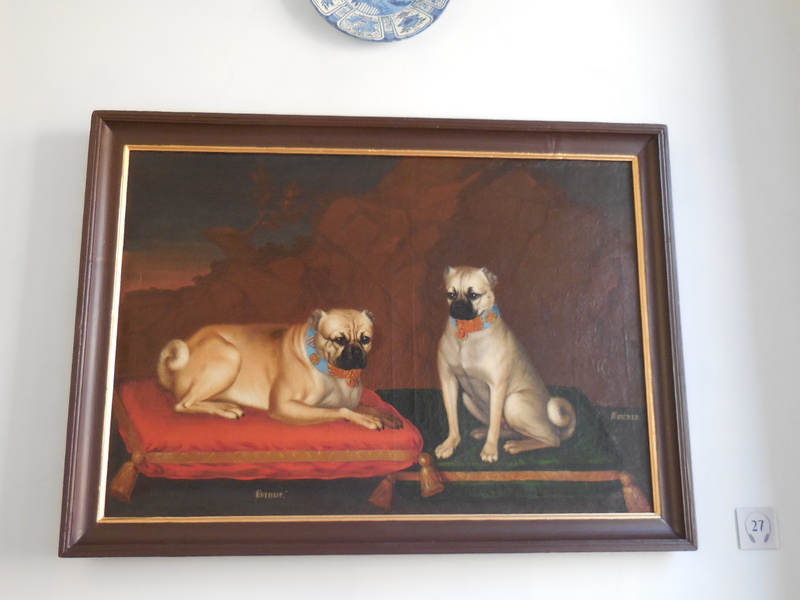 In the Dog Room I focused on a painting of two dogs proudly seated on velvet cushions in 1700. They looked so spoiled with their luxurious light blue and gold collars. Then again, I had always spoiled my cats. 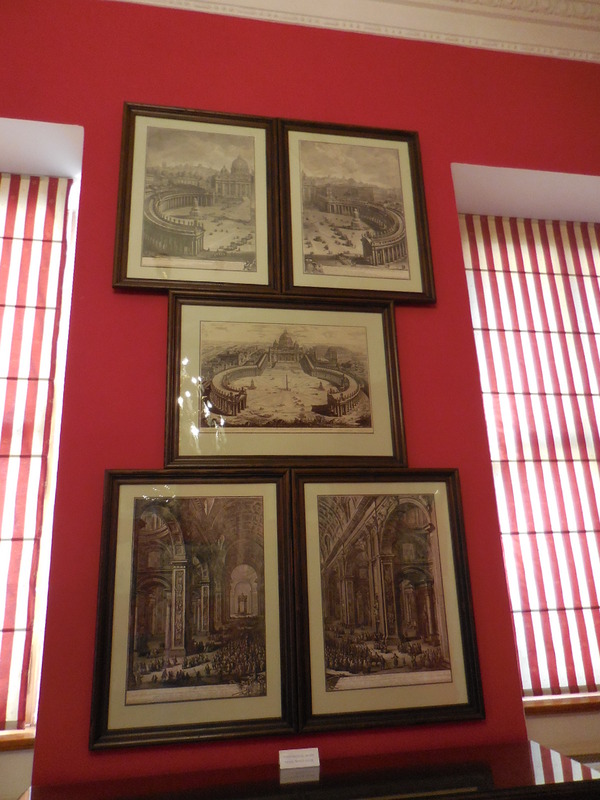 The Firanesi Room was filled with engravings of ancient and modern Rome, one of my favorite cities in the world. I recalled showing my parents the Colosseum, one of my most treasured memories of time spent with my Mom and Dad. The Oriental Room proved a delight as well. It featured nine Chinese embroidered silk panels hailing from the 18th century. I loved Oriental rooms in castles and chateaus. They were so elegant, and the wallpaper was always so beautiful. 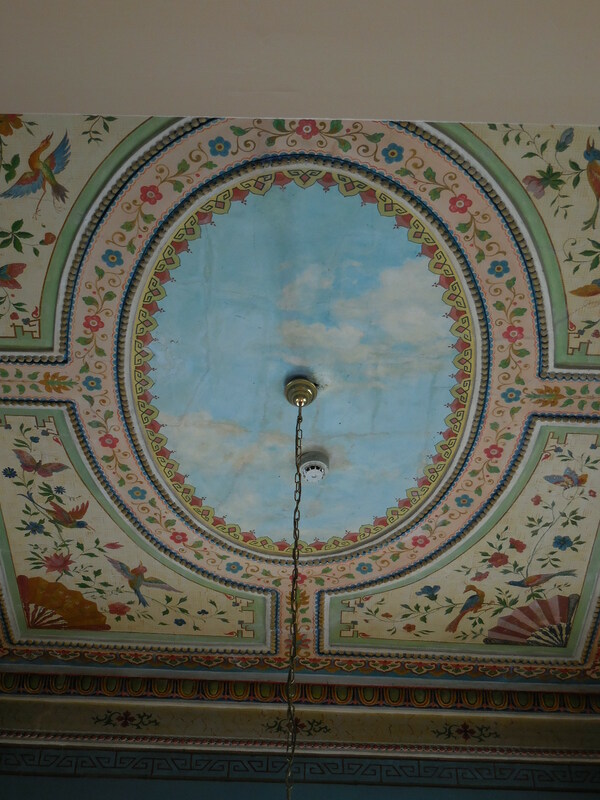 There was also a Chinese Room in the palace. 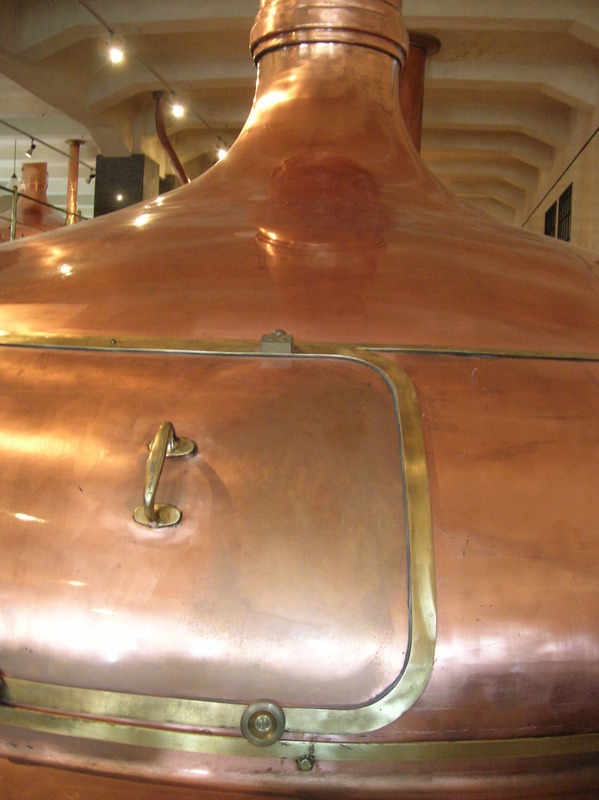 It had a distinctive Oriental flair and dated from 1900. I loved the bright colors, too. 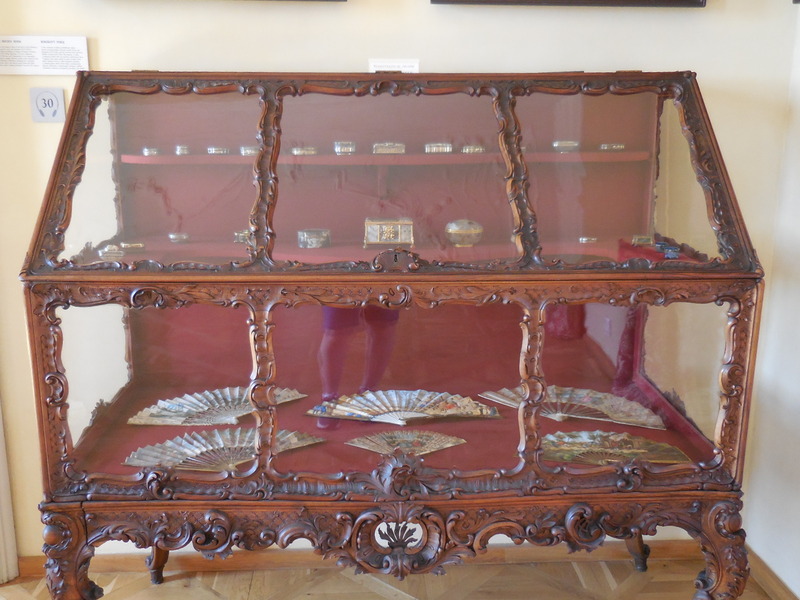 Next came the Rococo Room, where two Rococo display cabinets displayed various objects, such as snuff boxes, exquisite fans and Meissen porcelain. I admired the rich carving of the woodwork on the cabinets. 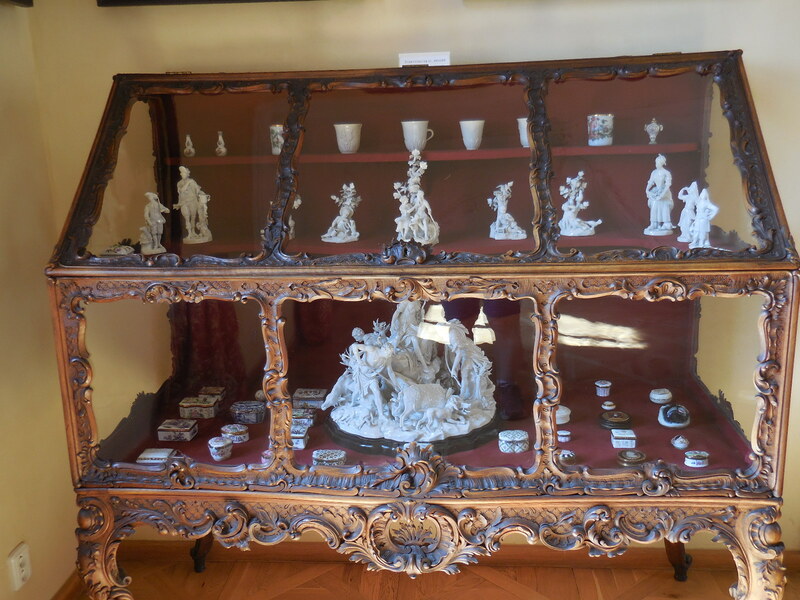 Seeing the Meissen porcelain reminded me of the Museum of Porcelain in Dresden, where there was so much Meissen to behold that it had been overwhelming for me. The superb display cases dated from the 18th century. 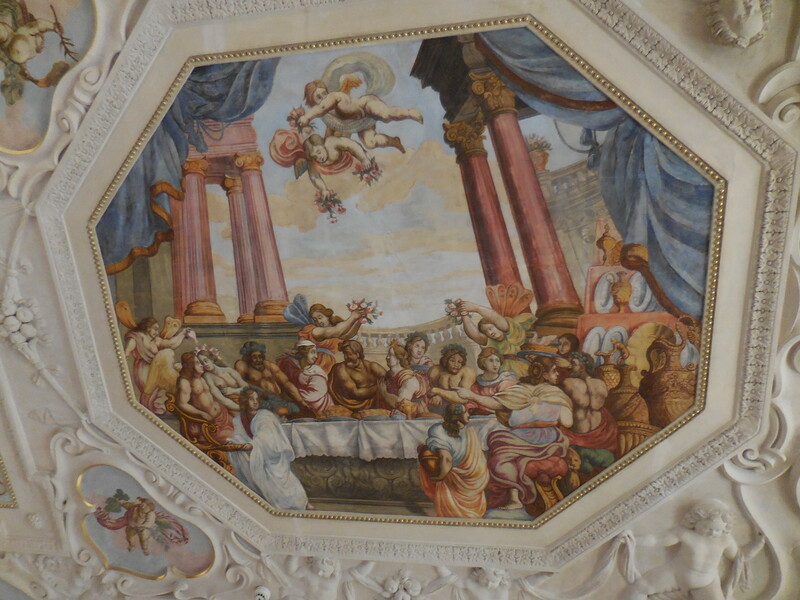 The Dining Room flaunted portraits and ceiling frescoes that enthralled me. I saw the Allegory of Europe, the Allegory of Asia and the Allegory of America, for instance. Poseidon and Bacchus appeared in several frescoes. 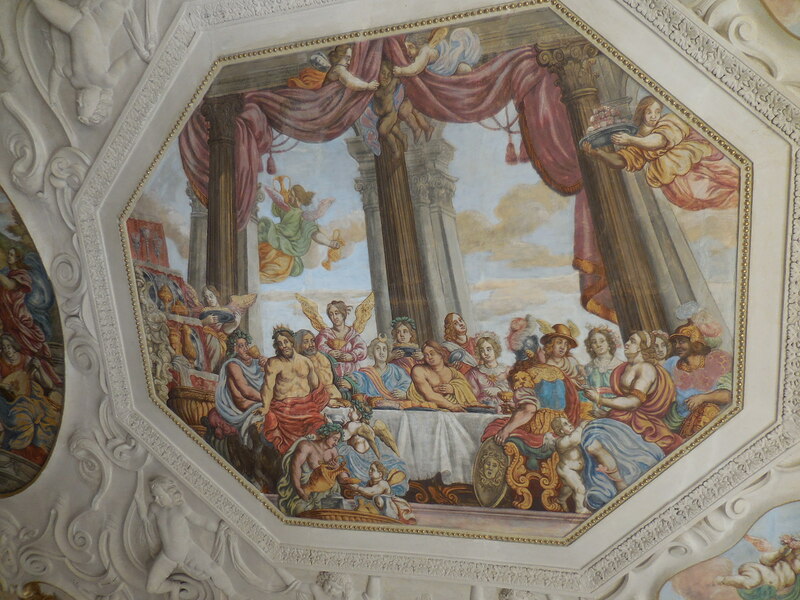 I loved ceiling frescoes in chateaus, especially ones with mythological figures. 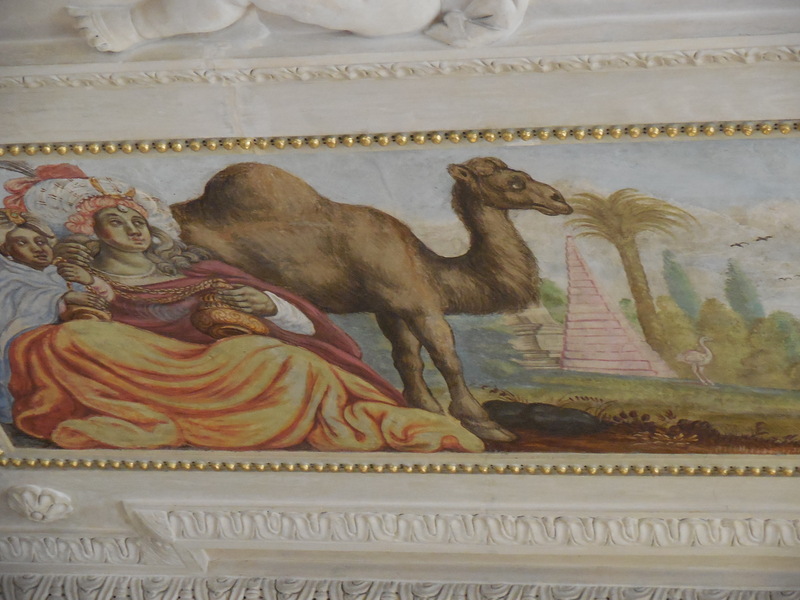 The elderly attendant in the room described the various frescoes to me enthusiastically. It was nice to meet a museum attendant proud of the place where she was working. I punched in a number on the audio guide and listened to how the Lobkowiczs watched the Berlin Wall fall and the Velvet Revolution unfold on television. 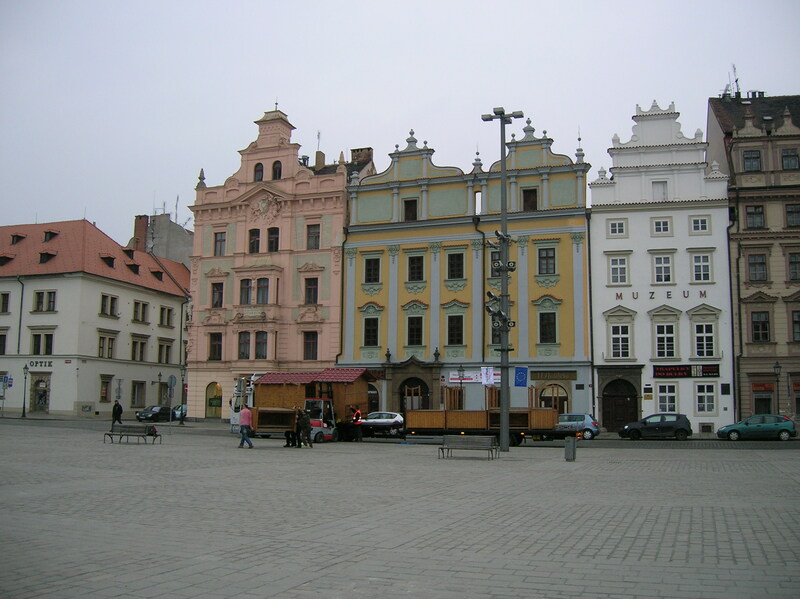 They returned to Czechoslovakia in 1990 and wanted to make the country their home. 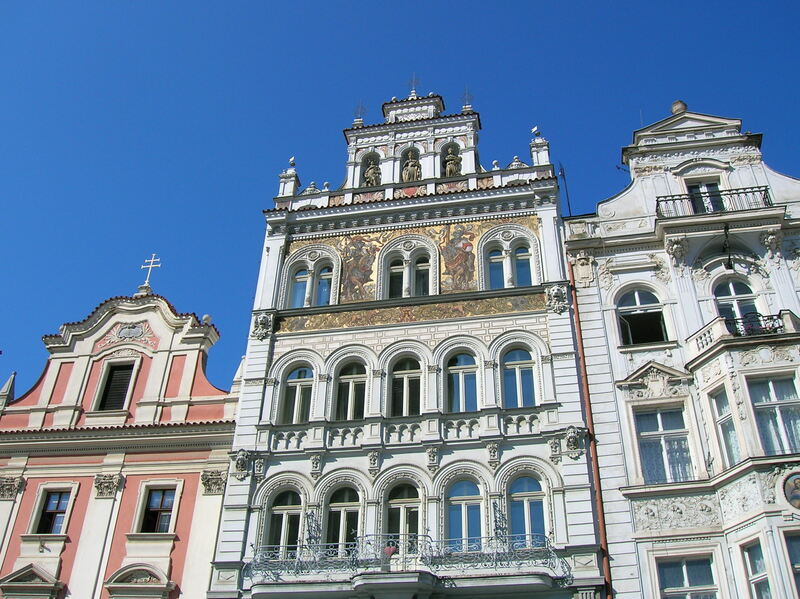 Under the first law of restitution, the Lobkowiczs had less than a year to find all the objects that belonged to their family and to make a list of them. 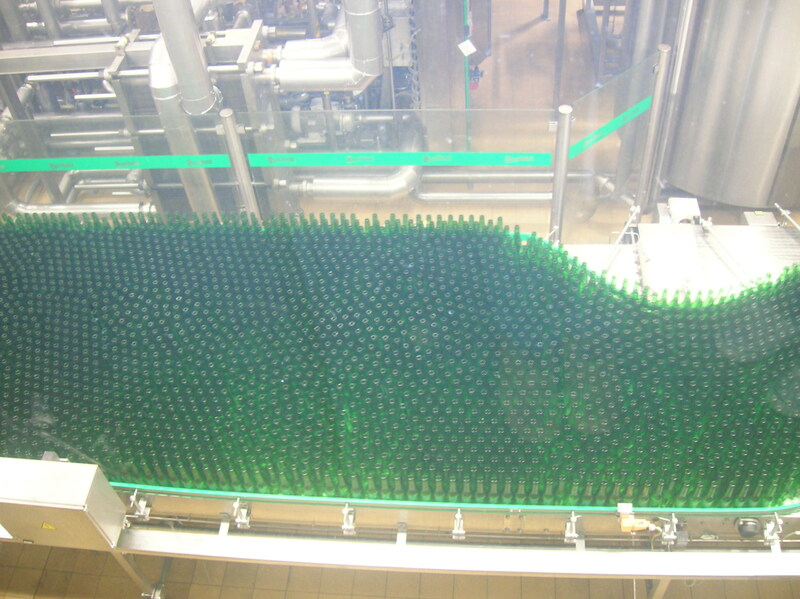 It certainly had not been an easy process, but, luckily it had a happy ending. At the end of the tour I walked by a small concert hall. It would be delightful to attend a concert in such an intimate space in a lavish palace. I would have to come back again to go to a concert. Classical music had played a role in the family history, so perhaps it was only fitting that they had a space for concerts. I was very impressed with both the palace and the narration on the audio guide. 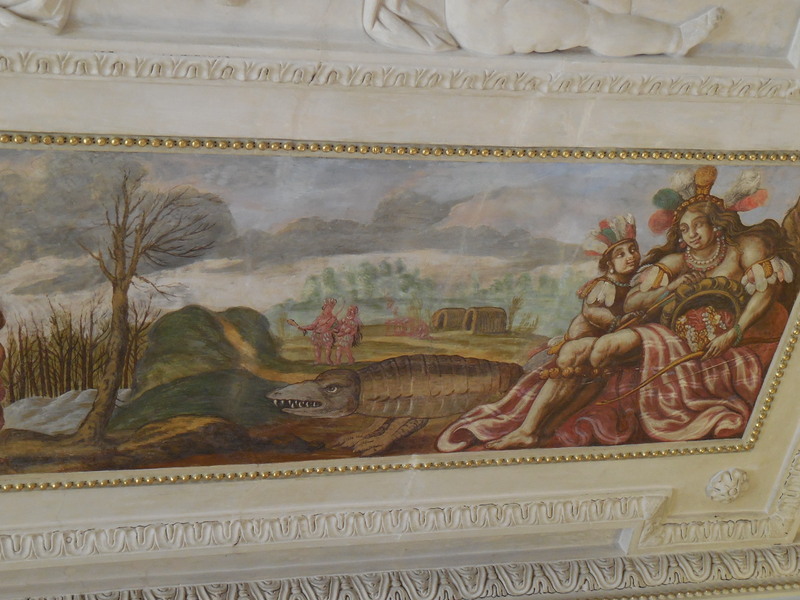 Lobkowicz Palace had a bit of everything – exceptional artwork from various centuries, impressive furnishings, ceiling frescoes, porcelain, musical instruments, original musical scores, weaponry and of course, portraits. I liked the variety of furnishings and pieces of art that I was able to see from various eras – a Romanesque processional reliquary cross and Rococo display cases, for instance. And the family history was so intriguing! 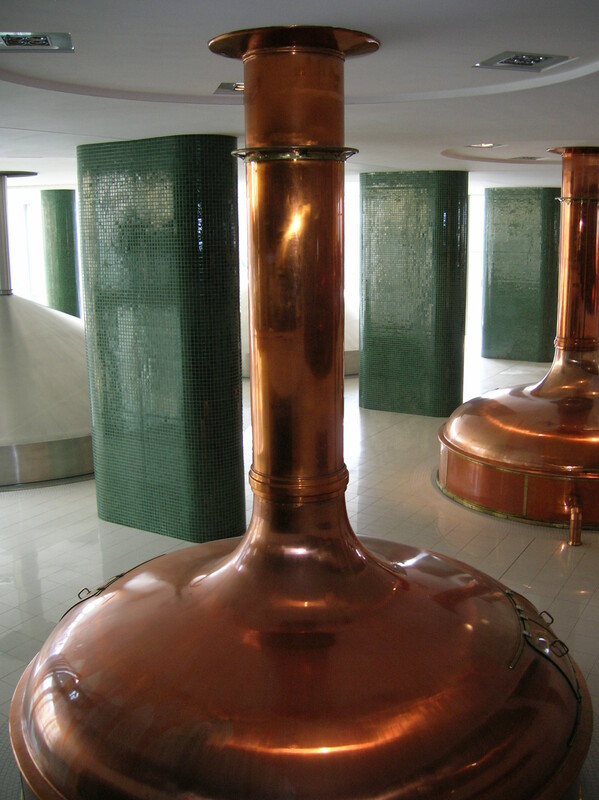 What an ordeal William Lobkowicz’s grandfather had gone through! His possessions had not been taken away from him once, but twice – first by the Nazis and then by the Communists. Now that I knew what an intriguing place the palace was, I was sure I would be coming back for another visit and for a concert sometime soon. 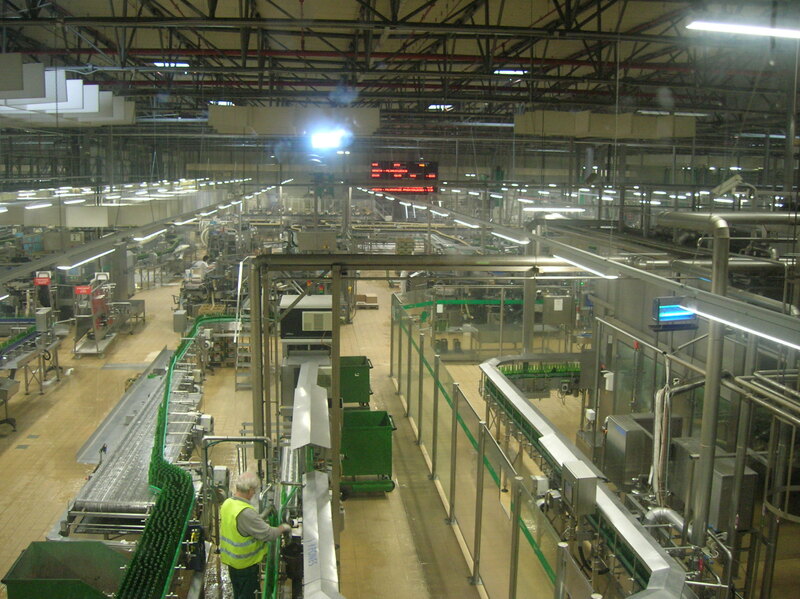 NOTE: No photos were allowed on the second floor, only on the first.